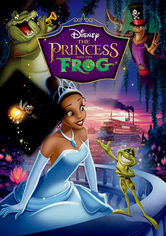 The Princess and the Frog (2009) on Netflix India. Check worldwide Netflix availability! If The Princess and the Frog isn't available in your country, or you are visiting a country where it isn't, there is still a way to watch it! In New Orleans during the Jazz Age, a beautiful girl named Tiana has a fateful encounter with frog prince who desperately wants to be human again. When a lighthearted prince and a hardworking waitress turn into frogs, they learn a lot about what it means to be human.